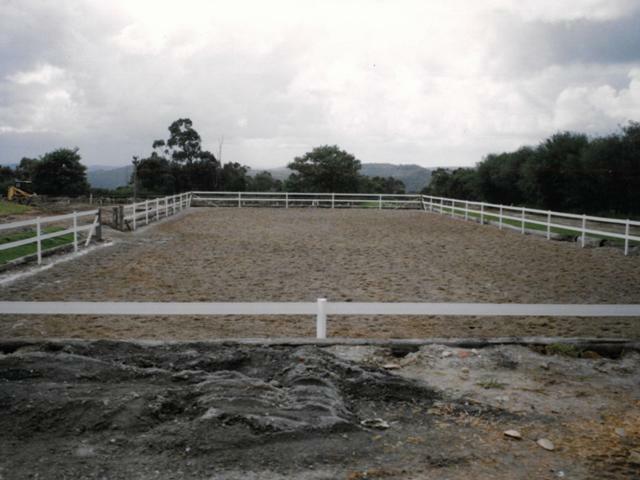 Our complete rail and fittings arena fencing pack designed to cater for a 40*20mtr horse arena. 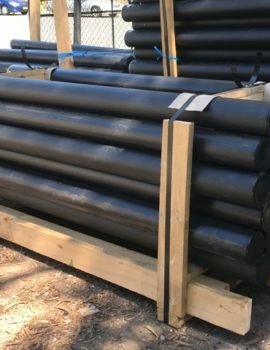 Enough product for 2 rails of our premium product around your new horse arena. 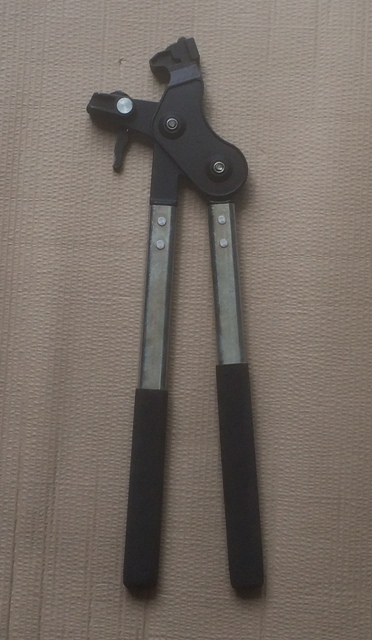 Pack includes our award winning horse fence rail, fittings and our associated tools. The pack specifically excludes posts, please source from your local supplier. 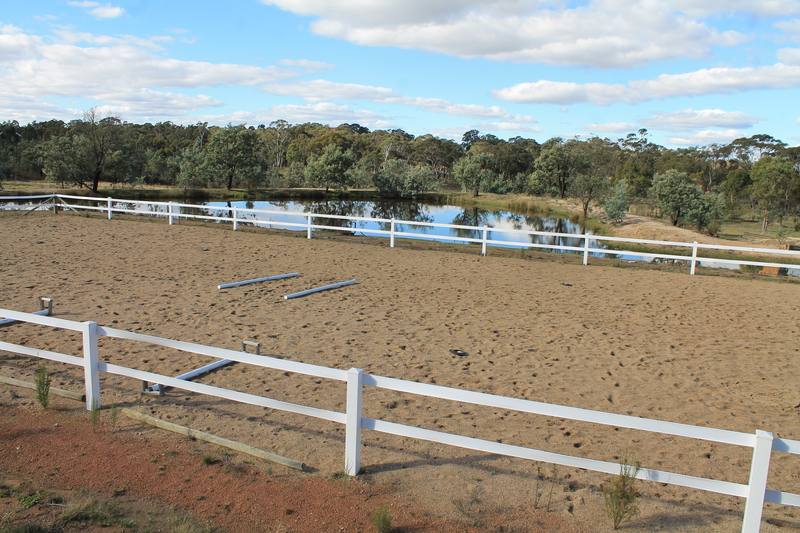 Or contact us – Arena Fencing Inquiry and we may be able to assist in finding a local or specialised national horse fence post supplier. 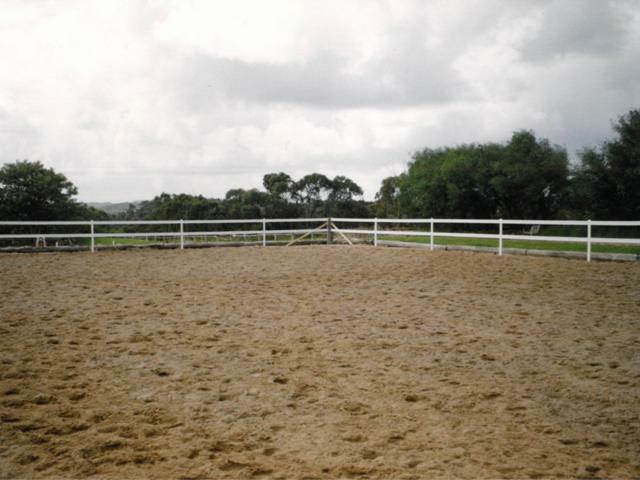 Have the complete horse arena, by completing it with our safe horse fence. 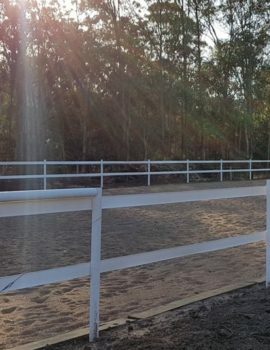 Not only will it provide an attractive finish and improve the value of your property, you can rest assured you have the safest fencing option for your arena. The pack assumes a spacing between posts of approx 3.33mtr, and provision for one gate mid run. 250mtrs (approx)of rail, usually 2*125 metre rolls. 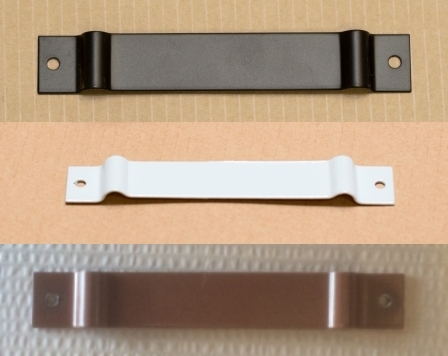 66 * standard profile metal brackets in matching colour. 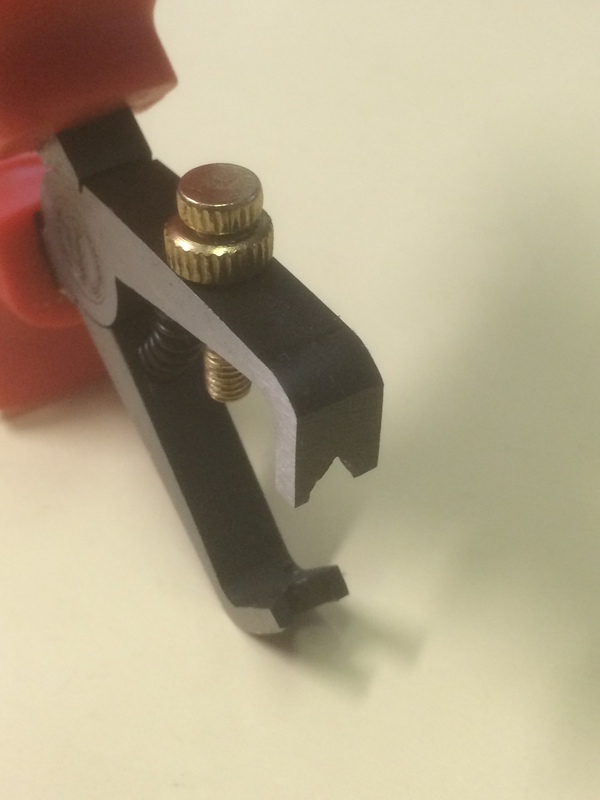 1* Bag of 10 800mm Wire Vice Covers to match rail. To complete the pack customers will need to purchase approximately 32 interim posts and 6 straining posts separately. The pack assumes 11 posts (12 spaces) along the long run and 5 posts (6 spaces on the short run). 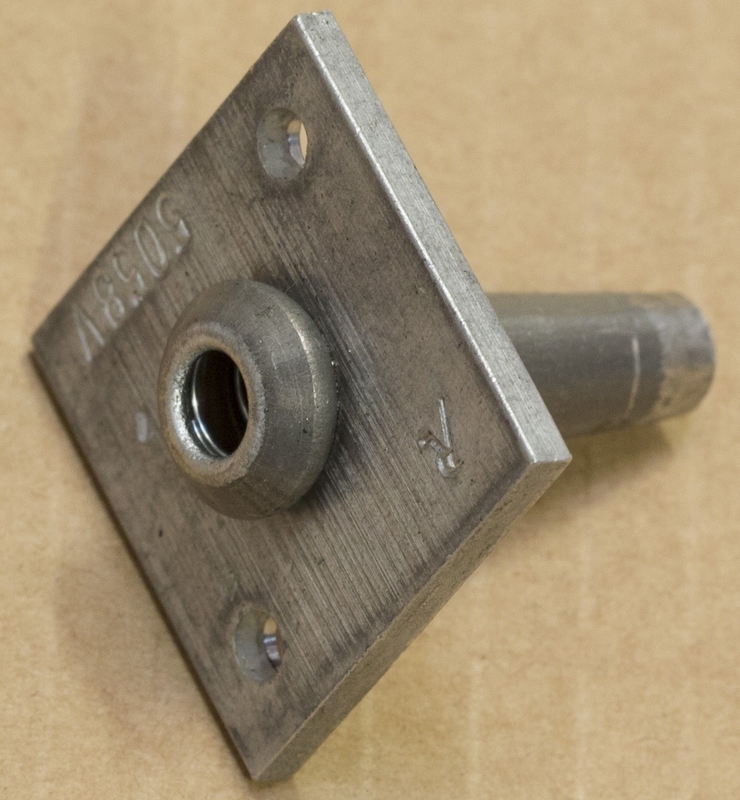 The spacing can be varied from 3.33metres to your preference and you may require more brackets or indeed have some left over. The choice is yours. Similar some customers desire more than one gate, while others are happy to have their gate in the corner. This will effect the number of straining posts required. 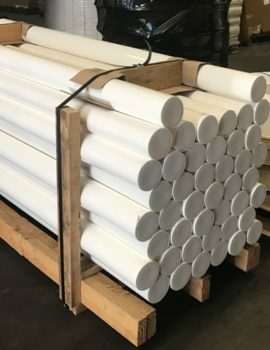 Interim posts need to be equivalent in strength to 100mm-125mm round timber posts. Straining posts will need to be equivalent in strength to 200mm round straining posts. 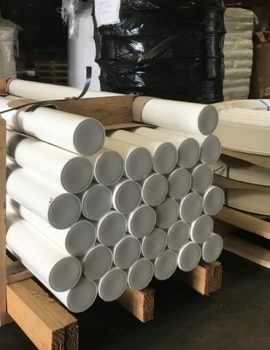 Posts can be of any material, although 90% of our customers use timber. 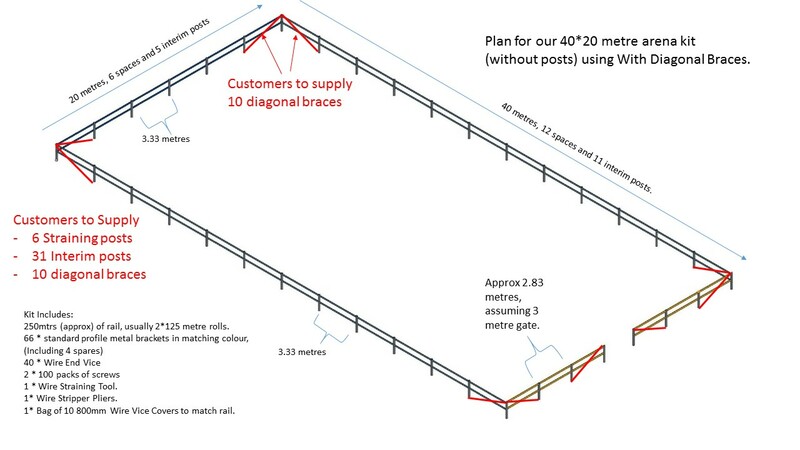 Have a look at our example fence designs, see 40*20 Metre Arena Fence Desing with Diagonal Brace and 40*20 Metre Arena Fence Design with box brace. 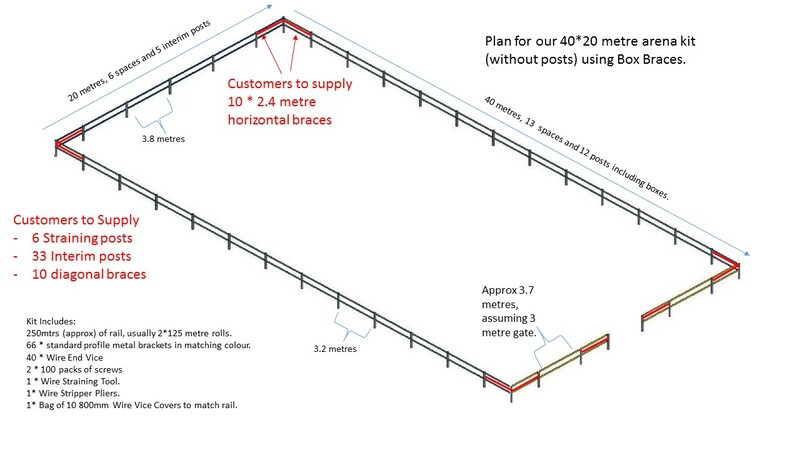 For further information on the kits contents, what is included and what is not, including a list of items the customer will need to source elsewhere please review our PDF – 40*20 Metre Arena Fence (Without Posts). Available in white, black or brown. But hurry limited stocks are available. When ordering please indicate the colour you desire in the delivery notes. This “pack” can be used for all three colours.